The correct term may not be visible. Select Settings on the right side of the page. Select the appropriate (current) term. 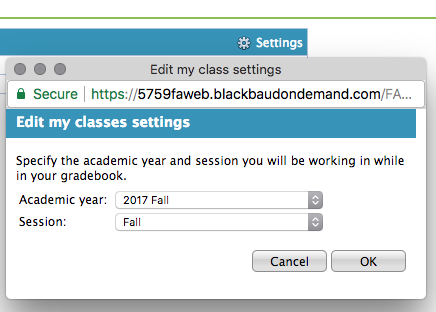 Class rosters should appear under My Classes. Make sure Settings is selected for the appropriate term. 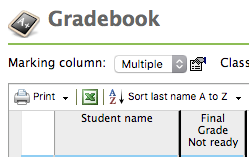 Under the Gradebook drop-down, select Enter grades by class. 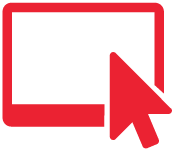 Use the Class drop-down to view all courses you are teaching per semester. Verify that Student names in the list match those attending class. Enter final grades in the Final Grade Not ready column. To enter comments/narrative evaluations, an icon labeled Edit Comments should appear next to the grade. Select Edit Comments, then copy and paste the narrative for that individual student. 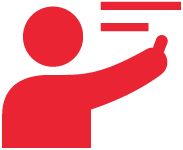 Text only – formatting such as tables/charts is not supported by the system. 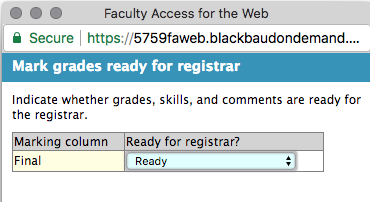 When complete, select the Final Grade Not ready column header, and change the Ready for registrar? drop-down from Not ready to Ready. 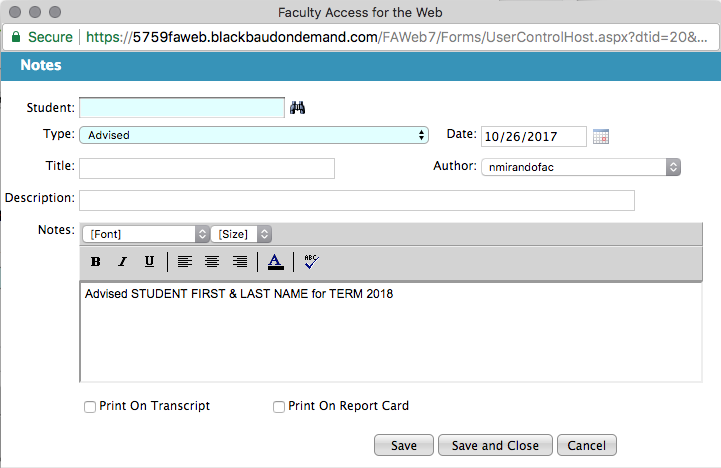 Select OK.
At this point, grades cannot be changed on FAWeb by faculty, and the registrar then posts the grades for students to view. 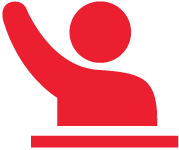 Select the student name in the class list and view the Biographical information. 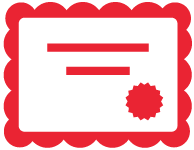 The Year field indicates if the individual is not a Union Theological Seminary student, and should be graded appropriately. 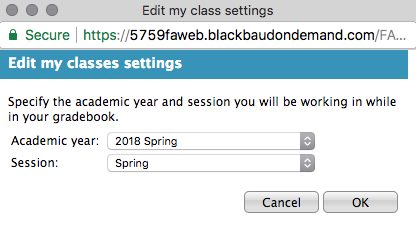 After meeting with advisees in the Fall and once permission to register is given, complete this FAWeb step so the Registrar can remove the hold preventing first year students from registering for Spring courses. Select Students in the top menu bar. Select the appropriate student under Advisees. Select Notes in the top menu bar. Under the Note Type drop-down select Advised. Select New, then enter a note similar to the below example. Save and close for the Registrar to see the submission.